In Pennsylvania Brownfield Redevelopment is a joint program that includes the Land Recycling Program and the Brownfield Redevelopment Program. In short, the Land Recycling and Brownfields Program allows the redevelopment of abandoned, idle properties into new land uses, which transforms the economic development value of the properties. The PA Act 2 Program can also provide a release of liability to property owners that had contaminated properties and remediated the sites. The program is voluntary and requires the assistance of an environmental consultants such as Curren Environmental to assist in navigating the process. In addition, to simple cleaning up a site, public notifications are completed as well as environmental risk assessments. Tthe site-specific standard, the property owner can receive a relief of liability for the property. One of the keys to the release of liability is the Pennsylvania uniform Environmental Covenants Act. In Pennsylvania on December 18, 2007, Act 68, the Uniform Environmental Covenants Act (UECA), was signed into law. The Act provides a standardized process for creating, documenting and ensuring the enforceability of site activity and property use limitations on contaminated (brownfield) sites. Environmental covenants under Act 68 are required whenever an engineering or institutional controls are used is used to obtain an Act 2 remediation standard. The DEP will establish and maintain a "Pennsylvania Environmental Covenant Registry" which will list the site location (i.e., street address, municipality, county) including electronic copies of the site applicable environmental covenant, notice of environmental covenant or waiver. To increase the user friendliness of either Act 2 program, the DEP allows a contaminated site Final Report Summary (FRS) form to be submitted in an electronic format. Curren Environmental projects managers, scientists and geologists have successfully managed the Act 2 process for a wide variety of property owners and developers. To speak to one of our environmental professionals call 888-301-1050 Monday to Friday EST. If you still have questions, please feel free to contact our office at 888-301-1050. We maintain an administrative support staff that is well versed in the Pennsylvania Act 2 Land Recycling Program. 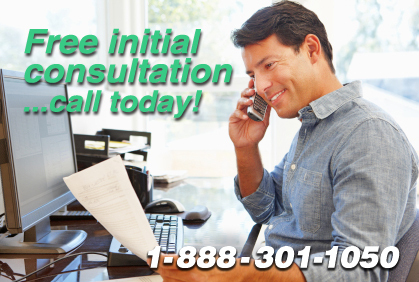 We offer a free consultation to discuss your questions, either by phone or in person, free of charge.